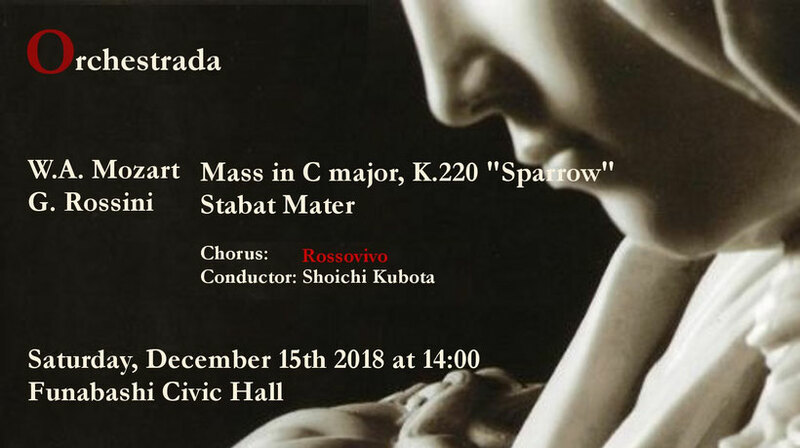 Missa Brevis in C major, “Sparrow"
This concert is hosted by Rosso Vivo. Tickets are available at convenience stores such as 7-Eleven and FamilyMart. You can also purchase tickets from CN Playguide (0570-08-9990). The ticket price is ¥2,500. Funabashi Civic Cultural Hall is seven minute walk from JR Funabashi Station.